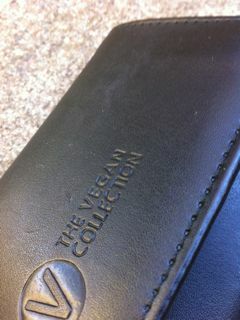 Last year at the San Francisco Veg Festival I found a vegan (ie non-leather) wallet. I had been looking in many stores in Europe and the US, and hadn’t found a wallet I liked. The one I got at the Veg Festival has been great, and I like the idea of putting my money where my mouth is. We’ll be visiting the Veg Festival this year on Sunday. Leave a comment, or contact us @veganjains on Twitter, if you’ll be there and we can meet.